The 2019 Bristol Short Story Prize judging panel is: Kate Johnson (literary agent), Lucy Cowie (editor), Polly Ho-Yen (writer), and Billy Kahora (writer). All entrants must agree to have their work published in the Bristol Short Story Prize Anthology Volume 12, in both print and ebook formats, should they be the author of one of the 20 stories that are shortlisted for the 2019 Bristol Short Story Prize. Authors will retain worldwide copyright on their work (including film and dramatic rights) but Bristol Short Story Prize has first publication rights to publish the 20 shortlisted stories in the Bristol Short Story Prize Anthology Volume 12. Tangent Books will publish the 20 shortlisted stories in both print and ebook formats on October 12th 2019. Each of the shortlisted stories must never have been previously published, in print or online (including self-published, ebook, magazines, journals, websites, blogs, social network sites), or broadcast or won a prize in another writing competition on or before October 12th 2019. Please email Bristol Short Story Prize on enquiries@bristolprize.co.uk if clarification of this is needed. Once notified that they have been selected for the 2019 Bristol Short Story Prize shortlist and will be published in Bristol Short Story Prize Anthology Volume 12 (paperback and ebook), all shortlisted writers must confirm and verify that their shortlisted story has not been published in print or online (including self-published, ebook, magazines, journals, websites, blogs, social network sites), or broadcast or won a prize in another writing competition on or before October 12th 2019. All shortlisted writers must, also, confirm and verify that their shortlisted story will not be published or is not due to be published in print or online (including self-published, ebook, magazines, journals, websites, blogs, social network sites), or due to be broadcast or due to win a prize in another writing competition on or before October 12th 2019. Prizes for 2019 are: 1st prize-£1000, 2nd prize -£500, 3rd prize -£250. Each of the 17 remaining shortlisted writers will receive £100. The winning story will also be published in the print edition of Bristol 24/7 magazine in November 2019. An additional prize of £100, The Sansom Award, in recognition of the contribution to Bristol publishing of John and Angela Sansom, will be presented to the highest placed story by a Bristol writer. If no story by a Bristol writer is selected for the 2019 Bristol Short Story Prize longlist, Bristol Short Story Prize reserve the right not to present the Sansom Award. In the event of two or more stories by Bristol writers being selected for the 2019 Bristol Short Story Prize longlist, John and Angela Sansom will select the winner of The Sansom Award. All prizes will be awarded at the 2019 Bristol Short Story Prize Awards Ceremony on October 12th 2019 and will be sent to any of the writers who are unable to attend the awards ceremony on October 12th 2019. Prizes, including free copies of the Bristol Short Story Prize Anthology Volume 12 as well as cash prizes, are not dependent on winners attending the 2019 Bristol Short Story Prize Awards Ceremony. Entrants will not be contacted individually about the competition results unless they are selected for the shortlist. The 2019 Bristol Short Story Prize longlist and shortlist will be announced on the Bristol Short Story Prize website. 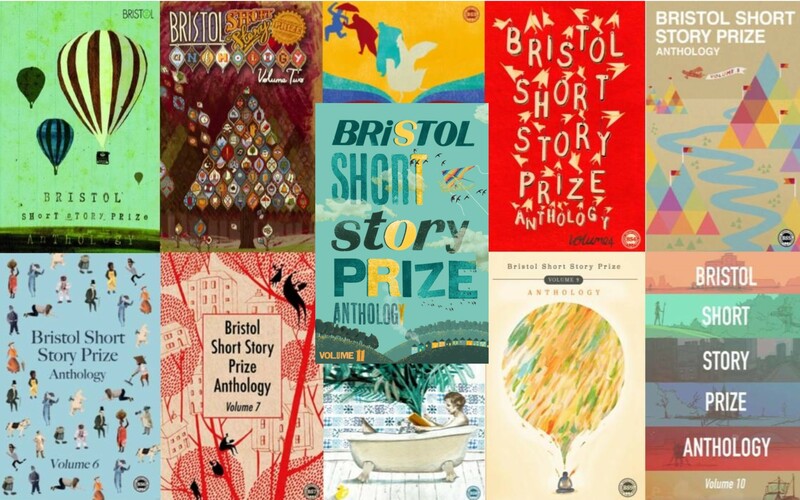 The 2019 Bristol Short Story Prize longlist of 40 stories will be posted on the Bristol Short Story Prize website on Wednesday July 17th 2019 at 2pm (BST) and the 2019 Bristol Short Story Prize shortlist of 20 stories will be posted on the Bristol Short Story Prize website on Wednesday July 24th 2019 at 2pm (BST). The top 3 prize winners of the 2019 Bristol Short Story Prize will be displayed on the website within one week after the awards ceremony. Any entrant wishing to withdraw a story from the 2019 Bristol Short Story Prize before the closing date and time of midnight (BST) May 1st 2019 will receive a full refund. Please contact us by email. We will not be able to refund any withdrawn stories after the closing date and time of midnight (BST) May 1st 2019. Entry implies an acceptance of all the 2019 Bristol Short Story Prize rules. Entries that fail to comply with the entry rules and requirements may be disqualified.